besides these known "people foods" that could harm your dog, you should also consider the actual bags and/or cans of dog food you're providing to your Miniature Schnauzer. Yep, many of the commercial dog foods available for purchase and from top brands, can literally kill your dog! So what's the worst food of all to feed your Miniature Schnauzer? Well it just might be the commercial dog food you're feeding him right now! That's right. Commercial dog food is loaded with chemicals and preservatives that can cause organ failure or dysfunction, allergic reactions, diarrhea, behavior problems, and certain cancers. 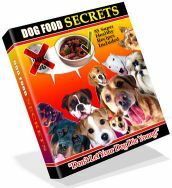 If you really want to learn about the dangerous ingredients in commercial dog foods (including the euthanized dog carcasses, flea tags, collars, etc…) you've got to read Dog Food Secrets. warning: Be prepared to find out the ugly truth! Learn about commercial dog foods from world-famous Doctors of Veterinary Medicine & Dog Care Experts. PLUS you can start making changes to improve your dog's life right away with your FREE mini course. Please don't be manipulated by big dog food companies' marketing techniques. Just because labels describe foods as Super Premium. or Gourmet does not mean they have higher quality ingredients. Proteins, Fats, Carbohydrates, Vitamins, Minerals, and Water. And while there are some commercial dog foods on the market that provide good nutrition by using quality ingredients, most of them do not and are bad foods for dogs. You must remain vigilant Do your homework. 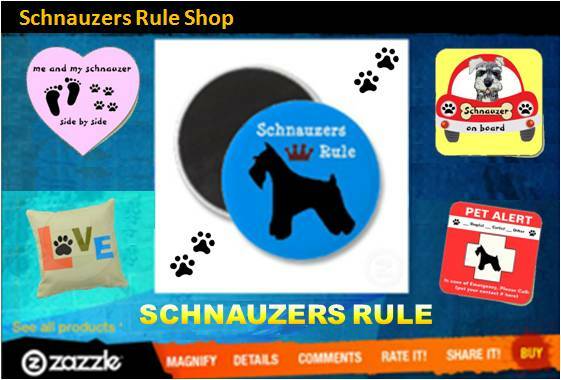 Your Schnauzer's life depends on it. Let us never forget the 2007 Pet Food Recall Nightmare. Our Miniature Schnauzers need a well balanced diet of healthy nutritious foods. Foods that provide them the proper vitamins, minerals, fats, carbohydrates, and proteins to their diet to ensure their basic nutritional needs are being met. A poor quality diet will result in poor overall health which leads to ailments and diseases that could otherwise been avoided. Feeding our dogs processed foods or left-overs from our dinner plate is not providing them with quality nutrition. And while you may not consider these foods poisonous per se, they are in fact still harmful as they can cause your Schnauzer to suffer with gastritis or diarrhea, or worse. (See Miniature Schnauzer pancreatitis). Furthermore our dogs are getting fat. Yes, like us, dogs are becoming more obese in record numbers. With improper feeding and less time spent exercising our dogs are packing on the pounds which we all know can cause many health issues. dog health tip: Read about the fun ways you can incorporate dog exercise into your Miniature Schnauzer's daily routine! Bottom line is to do your homework. 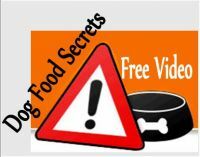 Find out the best foods to feed your Schnauzer and make sure your dog gets plenty of exercise. Talk to your vet or animal nutritionist about adding supplements to your dog's diet and see to it your dog always has plenty of fresh drinking water. Doing all of this will give your Mini Schnauzer the best chance at keeping dog illness and disease at bay. Eat Right - Exercise - And Thrive! "Knowledge Share"... If you found this page on Bad Foods for Dogs helpful and informative, please share it with your dog-loving friends by clicking on one of the share links (like facebook, twitter, and google +1) located at the top right or bottom of this page.